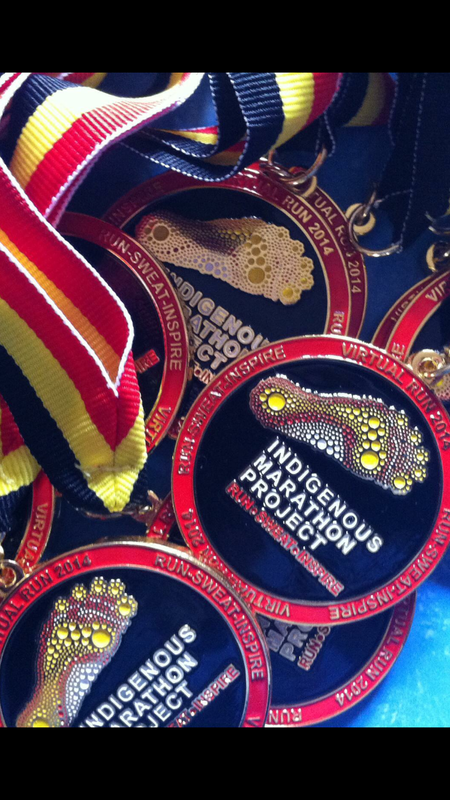 This Sunday I will complete my virtual run for the Indigenous Marathon Project. It’s a fun event, you enter online and for $27 you pledge to complete a distance between 3km and 150km in the month of November and they post you a cool medal. I have entered the 21.1km half marathon which with a group from our local running community we are getting together this Sunday to complete our run. The course that’s chosen will be about 60% bush trails and 40% road, fair bit of elevation gain involved which should make not only fun but also a challenging event in the afternoon heat. I’m looking forward to completing this event in my Gladsoles sandals. This entry was posted in Running and tagged barefoot, Barefoot Running., indigenous, run, runner, running, sandal. Bookmark the permalink. Very cool bling! And it sounds like a fun race. Enjoy. !